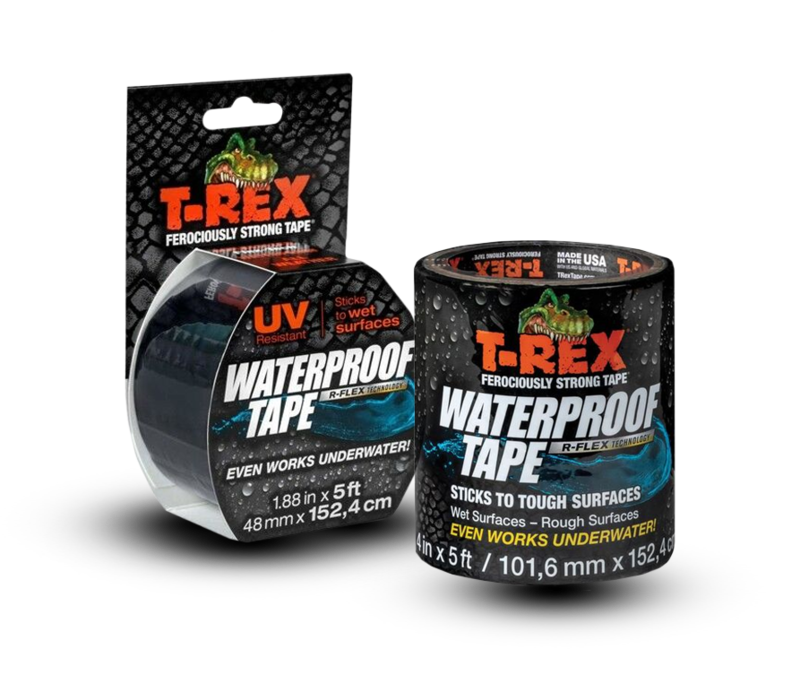 FIND THE RIGHT T-REX TAPE FOR YOUR JOB - Check out NEW Waterproof! Made with heavy-duty high quality cotton mesh for high performance strength. Works on a variety of surfaces, including wood, vinyl, plastic, leather, metal and laminate. Tears easily by hand for simple application. Moulds perfectly to uneven surfaces. Indoors… Outdoors and ALL weathers. Available in lengths of 32M and 10.9M (48mm wide packs) and the ever popular handy pack 25mm wide x 9.1m – what more could you want! Provides tough waterproof adhesion under wet and dry conditions. 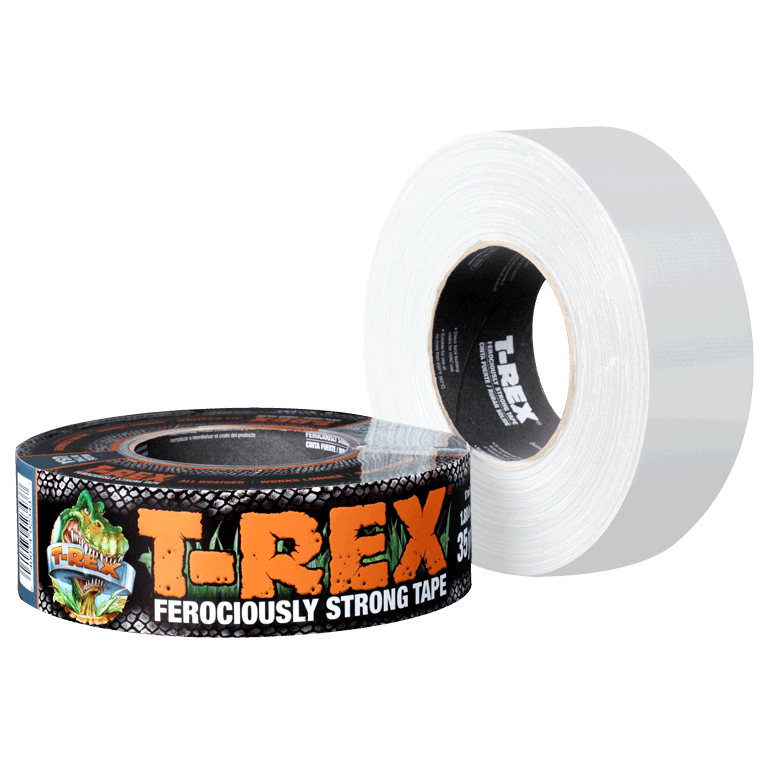 T-Rex Waterproof Tape can stretch up to 700% of its original length. Why not repair a rip in an above-ground pool or temporarily stopping a leak in a water pipe. 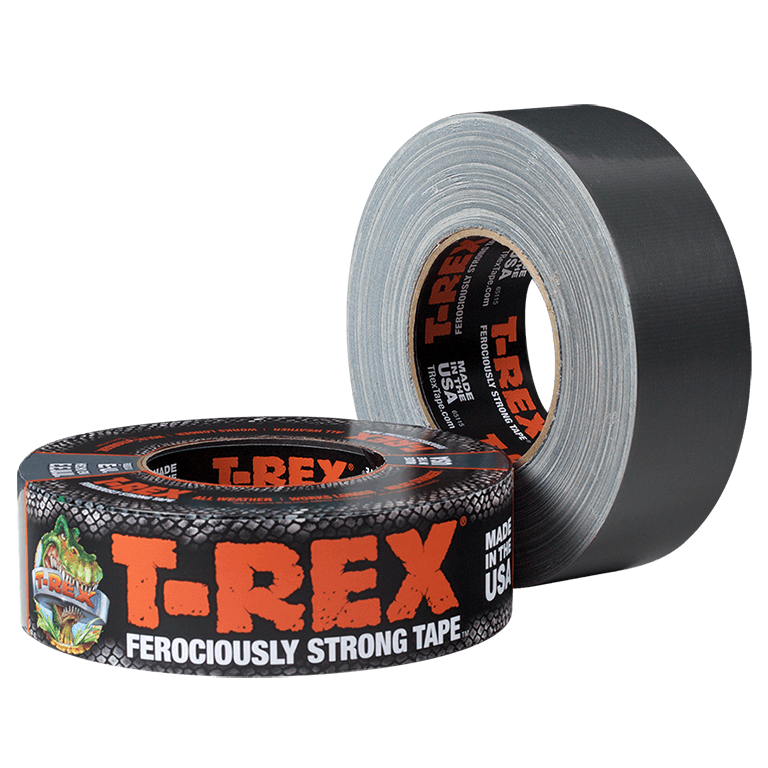 Alternatively apply it underwater and push it into cracks and rough, dirty surfaces. UV-resistant formulation won’t break down under harsh sunlight. 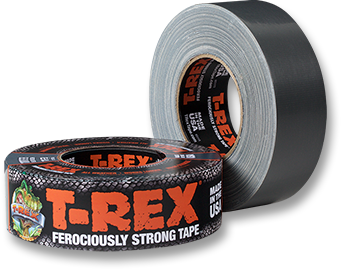 A Crystal clear tape with all-weather performance, that holds stronger than standard duct tapes. 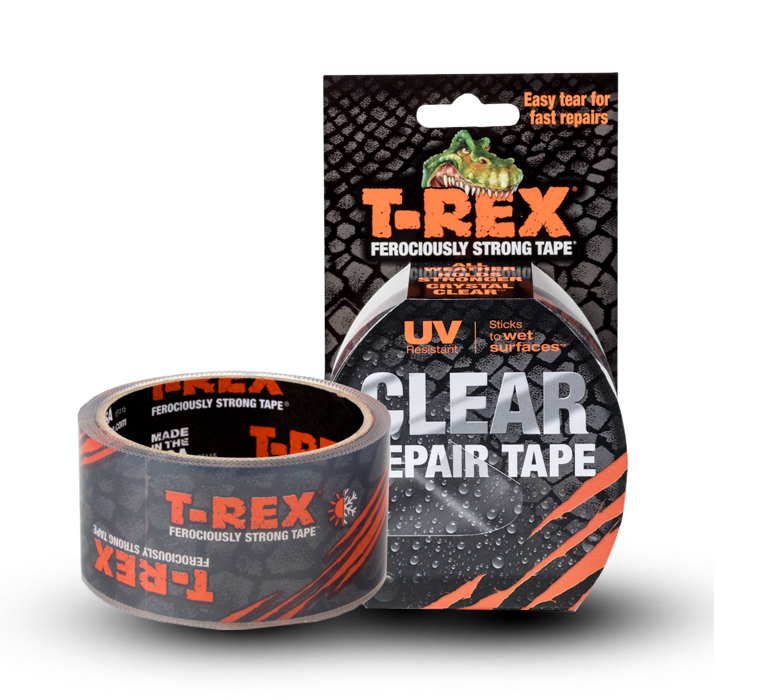 Extremely Durable IONOMER backing with aggressive wet stick clear adhesive, its ideal for fixes and repairs wherever you go. Made with UV resistant materials. Plus has a serrated edge that makes it so simple to tear. With identical features to the original silver option. And of course, like all our tapes – so easy to tear too!